How can i retrieve HEIC pictures deleted from iPhone/Windows PC/Mac? At first, some of us just want to remove all the unreadable files like HEIC after saving the readable version - JPG/PNG, yet only to find that those converted JPG images are twice bigger than the original HEIC photos. With increasingly more photo viewers supporting HEIC emerging on the market, and you can now turn those space-saving HEIC photos into viewable ones, there are no sound reasons to delete HEIC images anymore. 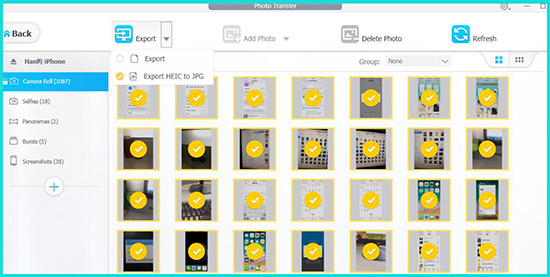 Choosing to save and restore HEIC photos for more storage space can be a wiser move than saving JPG files only. Deleted HEIC Photo Restore Guide: How to Restore HEIC Photos on iPhone/Computer? -- If you purposely delete HEIC photos on iPhone, the pictures will remain in your "Recently Deleted" trash folder, and you can recover them all or selectively. -- If you purposely delete HEIC photos on computer/mac, those pictures will be kept in Trash folder and you can right click and restore them all or selectively. Undelete 360: point it at a drive, it'll scan for deleted files, then you can view particular file types (JPGs, PDFs, videos and more). 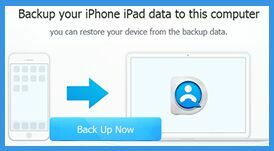 To restore HEIC from those backups, DearMob iPhone Manager can efficiently help. Restore HEIC Photo from Backup: How to Restore HEIC Photo Backups to iPhone? 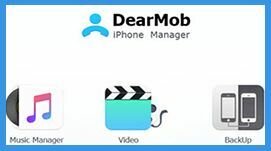 DearMob iPhone Manage allows you to export HEIC photos to JPG directly from iPhone end to USB-connected computer/mac in the first place. You can preview those HEIC photo on PC/MAC end before export to JPG without creating double files on one device and getting annoyed about deleting one version. For iOS 11 HEIC photo backup restore, this software can also help a lot! This iPhone Manager lets you restore the whole iPhone data including HEIC pictures through one click. 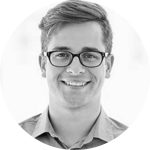 -- Connect your iPhone to your computer, and this HEIC restore tool will auto-detect it. 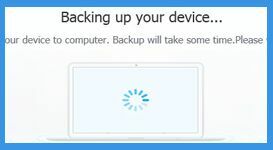 Step 1: Connect the computer with iPhone on which you desire to restore HEIC photos. 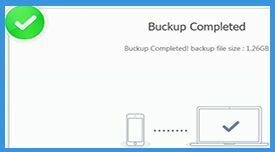 Step 2: Click "BackUp" button and then hit "restore backup files ". Step 3: Select the target version of backup files and click "OK" to restore HEIC photos and all the other data to current iPhone. 3. This tool can also help you open HEIC photos, pictures on Windows. The best part about DearMob iPhone Manager is that it can export HEIC photos to JPG directly with preview and restore HEIC images for iPhone as a whole. It is a great tool to rescue you in advance to miss deleting HEIC images problems. No jailbreak, without iTunes, this HEIC backup restore tool offers you the best and quickest way to export HEIC to JPG, backup HEIC photos and restore HEIC pictures to new iPhone X/8. Download it now! 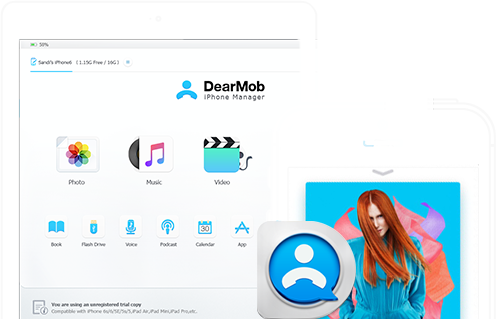 Now, you can open and view HEIC photos on Windows 10 with DearMob iPhone Manager directly! How to view HEIC photos on Windows 10 PC will no longer be a concern for us. This HEIC vs JPG guide offers a big picture on this potential JPG-killing format – HEIC HEIF photos from iPhone. Click to learn more.